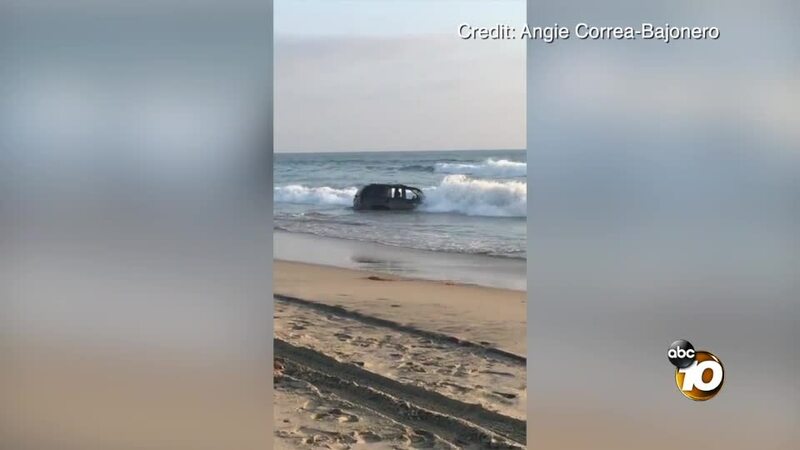 IMPERIAL BEACH, Calif. — A suspected drunk driver nearly hit several beach-goers Sunday before his SUV ended up in the ocean. The driver, identified as 50-year-old Jorge Mosti, was driving in the 1600 block of Seacoast Dr. just after 6:30 p.m. local time when witnesses say his SUV left the roadway and went onto the beach, according to San Diego Sheriff's Department. As he continued onto the beach, SDSO said Mosti nearly hit several people as he drove about a mile down the beach. His vehicle came eventually came to a stop when it partially submerged in the ocean. Mosti reportedly then jumped out of the vehicle and started walking toward Tijuana, Mexico. He made it about half a mile before deputies caught up to him. Deputies said Mosti was holding an open beer can as they took him into custody. Imperial Beach Lifeguards also responded to help pull the SUV from the water. Witnesses at the beach identified Mosti in a curbside lineup, SDSO said. He was arrested on charges of reckless driving and driving under the influence of alcohol.